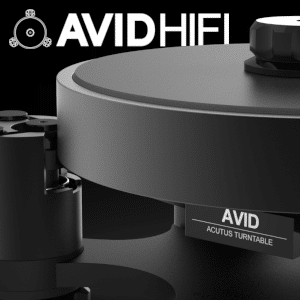 Currently, the hi-fi market is going through an analogue renaissance. Seemingly, you can’t turn a corner without bumping into a stack of turntables and crates of vinyl. Yet, these black discs represent a tiny fraction of the global music business. Digital, in one form or another, holds the raw numbers. According to the BPI (British Phonographic Industry) UK music fans downloaded 30 million albums in 2014 while CDs – that much derided format – still produced sales figures of around 55 million albums. 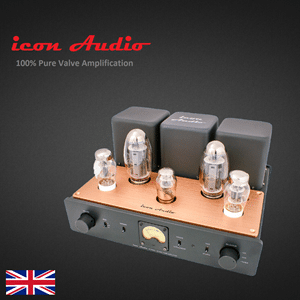 So what’s that got to do with audiophiles and DACs in particular? Most downloads are of poor quality and listened to on equally inferior (in sonic terms) smartphones or tablets while CD is limited to 16bit/44.1kHz. So jolly well what? Well, there’s a few reasons that this information has relevance. Firstly, if digital is where the money is, then digital is where the big investment is. 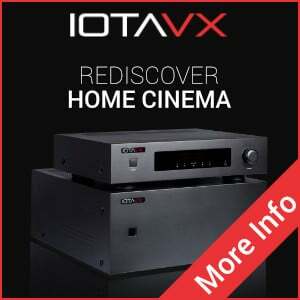 Look at the technology news pages, there are large and regular improvements appearing in the digital and especially DAC fields almost on a monthly basis. Secondly, because downloads are so prevalent, the ‘software’ market is expanding and maturing too. This is why the notion of the High Definition download is also becoming popular with suppliers of suitable HD music starting to grow in numbers. Even streaming operations, Tidal being one, have (finally) reached the CD quality level of output. Thirdly, a lot of those 55 million CD albums are being ripped which is releasing this music from it’s physical prison, it’s restricted disc-based home, which is partly responsible for the criticism CD has always had. 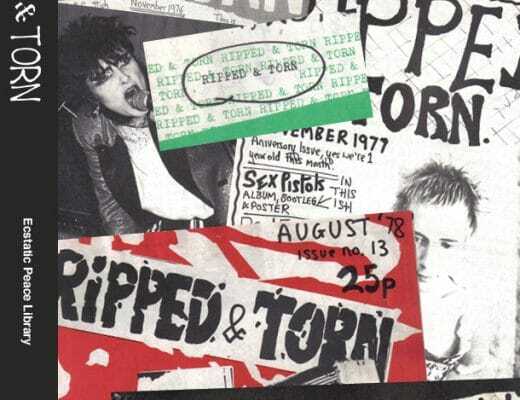 Ripping opens up the CD format, once ghettoised as a poor quality music source, for potentially better things in sonic terms as the notion of the evolving DAC provides hope for a boost in CD-derived music performance. Over the years, I’ve seen, heard and reviewed many digital platforms. 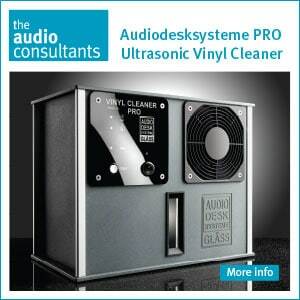 Whether they be CD players, transports, DACs, streamers and more esoteric forms. As a big fan of vinyl and its apparently unlimited potential (we have yet to fully explore what an analogue turntable can really do) I have found continual dissatisfaction with ‘digital’ as a music carrier. 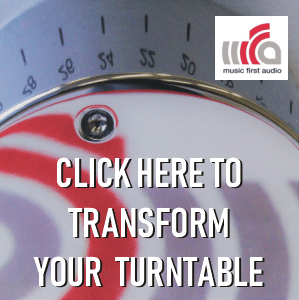 Analogue might not be perfect and might require a whole host of tweaks and ‘fettling’ to get right but you can always hear potential in vinyl, even in budget systems. Digital has, even in its higher resolution forms, seemed frustrating and uninspiring. A ray of light entered my binary gloom when I first entered the Computer Audio Design room at a national hi-fi show some time ago. A year? More? Scott Berry had just launched his 1543 DAC. Listening to him and his good lady wife, Isabel, talking about what they wanted to do with digital and where they wanted to take it, made me narrow my eyes and crease my fore-head. What Berry was saying, his theories and philosophies, struck me as…different. Then – as most journalists are – I was diverted by life and moved onto other things. Good reviews of Berry’s new DAC appeared throughout the media. It was nice to see but none of them really got under the skin of what Berry was doing. None of them really provided a platform for Berry to expound on his philosophies. Personally, if you’re going to commit around £7,000 on a highly developed piece of kit then I, for one, want to actually believe in what the designer is hoping to achieve. I don’t want a blind ‘this is good/bad’ review. I still have too many crossed fingers. I end up asking too many questions. I want more information. Hence the reason for this review, which goes further – I’d like to think – than others out there and why I had a long chat with Scott Berry so I could see exactly where he was coming from. So I could understand what he wanted from this box. But also, so I can independently judge whether his vision has resulted in a successful product. 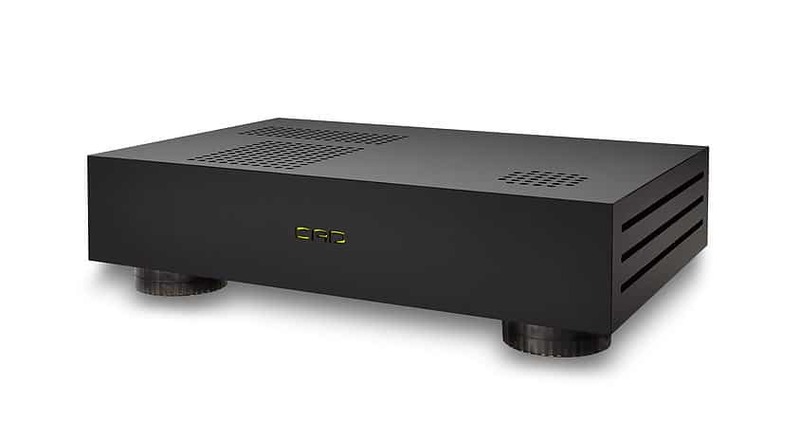 Does his DAC live up to the dream? Before we ask ‘How did the 1543 DAC get here?’, let’s ask the same question of Berry. In audiophile terms, what sort of man is he? At this point, Berry had an original Rega Planar 2, the original Naim Nait and a pair of Linn Kan speakers. He wandered away from CD as a dedicated listener, although he kept in touch, monitoring developments but he was never impressed. It was the UK retailer, Infidelity, who paid Berry most attention, offering both enthusiasm but also practical help in terms of marketing and sales (“I’m an engineer so I was clueless!”) Once Berry began serious development on his DAC, he made the brave move of quitting his day job at Xerox. So why build a DAC at all? Why not build a better CD player? Of course, there was also that secondary appeal of doing something a bit different. Everyone was producing CD players, at the time. Berry, it appears, likes to be ‘out of the box’. Maybe it’s a wish not to follow the crowd? OK, so supplying a DAC with a hard disk is all well and good but, surely, a mechanical hard disk is full of noise and clanking mechanical odds and ends? So it seems that there are trade-offs when using a laptop to deliver music to the CAD DAC. We’ll address those trade-offs in more detail during the actual review and also attempt to get around the issues that the laptop creates. Now you are beginning to see where Berry’s philosophy is different from most people in the mainstream of the industry. This is where the design for his DAC moves away from the general design template. So why is the speed of the signal important? When Berry worked for Xerox, he was the digital design guy, working on circuit design and PCB board layout for high speed digital designs. So his pedigree in this area is very good indeed. One of the aspects of the DAC that Berry was cautious about was the standard USB2 carrier frequency. At around 200MHz, this mighty signal has to go into the DAC and be converted over to I2S to then be of further use. Managing the power supply to keep that signal level high and clean is a tricky task. In fact, Berry spent a lot of time at Xerox on that one issue and even more time doing it for audio. Berry has to make sure that the signal is not distorted in the meantime too. One of the things that digital fans like to affirm, whether talking about digital or USB cables in particular is that, “Oh, its all 0s an 1s and there’s never errors.” Well, that’s not true at all. Bits can be missed and are missed all of the time. You hardly ever get a perfect transfer of data. Once that data enters the DAC, you have to make sure that the signal that is recreated by the USB-I2S interface, is fast enough. Another reason for the separation of power supplies into separate entities is noise. 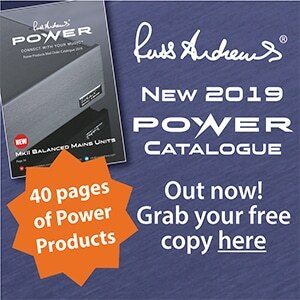 If you have one power supply with five to seven voltage regulators hanging of it which each of those regulators then connected to a separate circuit then any resident noise will be spread to each and every circuit. 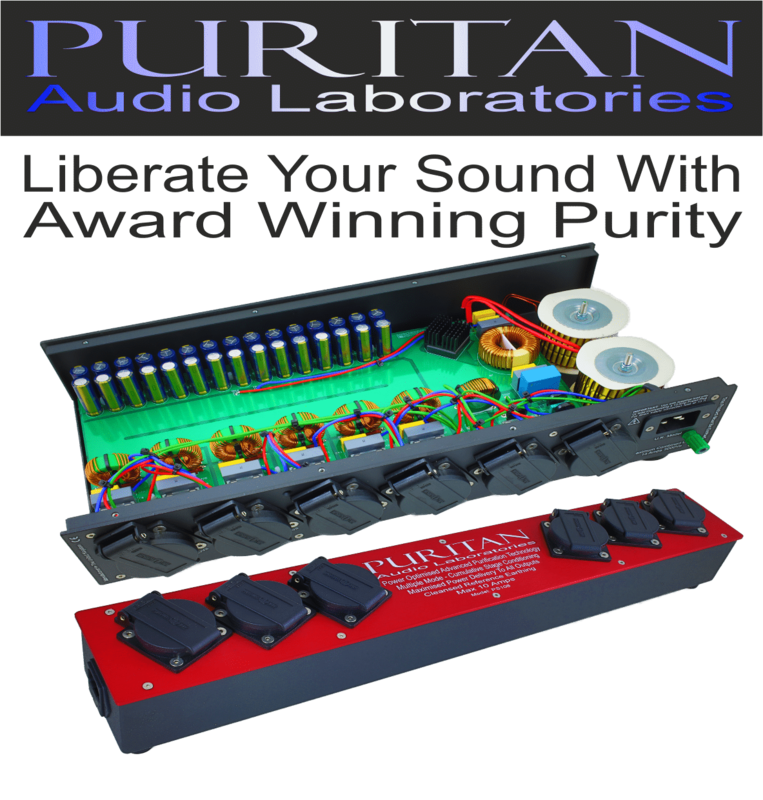 “Even if you have the best voltage regulators in the world, you’ll get intermodulation noise,” said Berry. “That noise moves from one circuit to another circuit to another circuit and so on. That is, one circuit’s noise will interfere with another part of the circuitry. 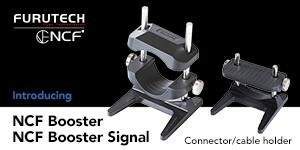 It’s easier to block that under 20KHz or even 50KHz but when your dealing with frequencies in the MHz range, trying to stop that frequency from truffling through everything in the box is a wholly different game. Most of the things inside the DAC start in the low MHz range and go up from there. Hence, the independent power supplies. Inside the DAC, in the back right corner is a power filtering design that is optimised to the frequencies that are important to the 1543 DAC, “It’s very specific. If you power the 1543 DAC to another conditioning device then it doesn’t work well. I’m a big believer in proper mains conditioning but there’s a lot of people out there who are not doing it properly,” said Berry. The 1543 DAC is a chunk of hardware with no real software included. It’s basically a dumb box so you need software connected to the 1543 DAC’s USB to make it work. The required driver – covering all operating systems – can be downloaded from the CAD website. The DAC won’t work without it. It allows one to talk to the other. As for the chassis itself? 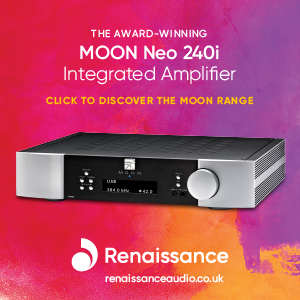 Apart from a USB slot on the back, joined by two RCAs to hook the DAC to your hi-fi, there is nothing else to it. Zilch. No other outputs, inputs, switches or toggles. You don’t get a chance to replace the power cable, there’s no on/off switch and the power light is part of the logo on the front. 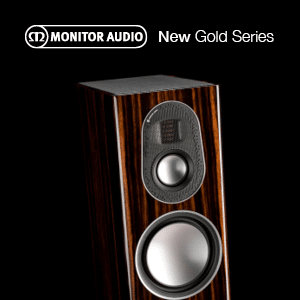 This sound test is not just a test of the CAD 1543. I wanted the test to be bigger than that. I wanted it to be a showdown between digital play and CD play. Hence, I drafted in a Densen B-475. This is that company’s top-of-the-range CD player and costs broadly the same (give or take the odd hundred). As it stands, this is an excellent CD player. For a CD manufacturer, Densen is quite enlightened. 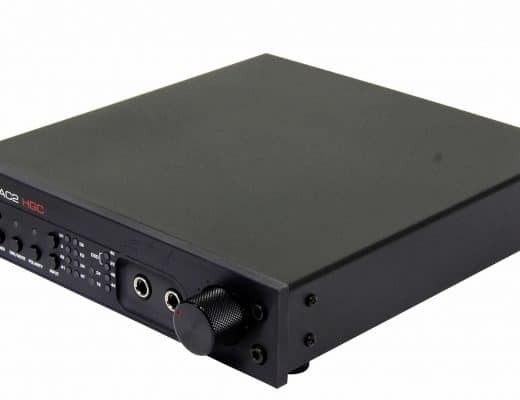 It has taken note of inherent vibration and noise in the design and has even gone to the trouble of dividing the player into two boxes, not into a transport and DAC but into a transport/DAC and seperate power supply. The B-475 is the best CD player that I have heard in many a long year, in terms of the balance between the performance and the price paid. As you can see, I didn’t want the CAD 1543 DAC to have an easy ride. In fact, the CAD 1543 DAC had a real battle on its hands. Before I played any music I downloaded and signed up for Audirvana Plus for use with the CAD DAC, a top quality digital file player and, in the preferences section, optimised the software with guidance from Scott Berry. That optimisation is a bit of a story in itself so I will be returning to this subject in a future feature. For now, I want to retain the focus on the CAD 1543. In addition I downloaded, from the CAD website, and ran CAD’s own special optimiser software which turns off a lot of your laptop’s processes, turning it, largely, into a dumb music player platform. Running the optimiser reduces unnecessary noise which will only interfere with the music output. The first time you run this utility, which you do via the Terminal (a command line utility), it can give you a bit of a fright because it looks like your entire Mac has been killed off, on a software level. Never fear though, the same utility switches everything back on. I’ve done this on several occasions without any long-term problems to my MacBook. I then plugged my MacBook Pro, powered by a SSD drive, directly into the DAC using, a basic USB cable (a nasty black stringy thing that was included as a freebie with an external hard disk I bought a while back) and began sound testing with a WAV file. In this case, the dynamic Hedonism by Skunk Anansie. Comparing the CAD to the Densen was fascinating. Playing a CD quality WAV of Skunk Anasie’s Hedonism on the CAD and comparing it to the original CD played on the Densen, the CAD lacked something…noise. The blackness around the CAD was such that the volume was quite a bit lower than the Densen which prompted a higher gain setting on on my Pre. Of course, moving parts, transport noise, jitter and other associated transport issues were gone from the CAD. That done, the CAD sourced track revealed a tremendous clarity. I could almost call the presentation a dissection. Don’t infer, from that statement, that I think that the CAD is in any way clinical, there was no brightness in the CAD playback at all. Instead, the noise was so low as to highlight subtle gaps in between instruments, strings and other aspects of the mix. One of the highlights was the gap I could now hear in between’s Skin’s double tracked vocal effort. You could plainly hear the micro-second delay of the double tracking, hanging off her original vocal. The insight was impressive. Bass was crisp, punchy and lean while the upper mids and treble offered further transparency that allowed you to simply hear more of what was going on. There was no colour in the CAD’s output, no dryness, no flinty or metallic sheen to this digital output. There was a real analogue flavour to the CAD. Analogue, that is of the more expensive kind. 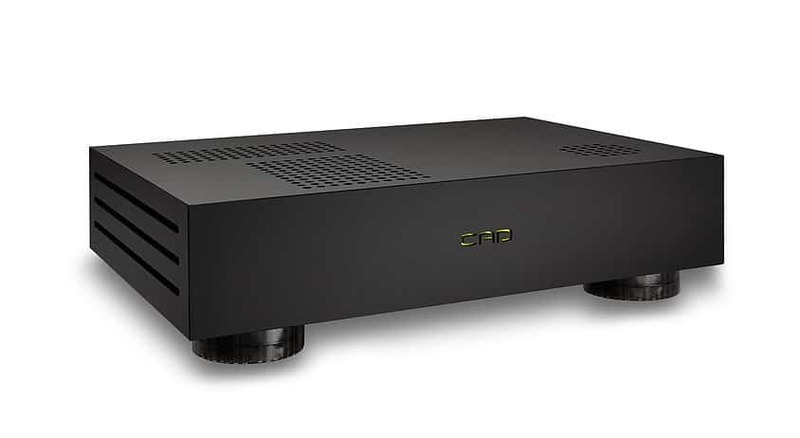 This DAC sounded more like a 10k+ turntable. I moved from the dynamic to the delicate and some vocal jazz via Carol Kidd, from her Dreamsville album, and A Nightingale Sang in Berkeley Square. Again, the intention was to compare this 44.1kHz WAV with the CD original. Again, I was struck by the lack of noise from the CAD. On this track, though, a female vocalist plus a jazz trio, there was more space to free up in the first place. When the CAD set to work, therefore, the difference was even more dramatic. Firstly, Kidd’s voice was far more expressive in its delivery than the CD. Hence, I could clearly hear her breathing as part of the machinery in her singing. The use of pure ‘breath’ in her presentation provided the vocal with more emotion. The acoustic guitar solo was also impressive but for another reason. The timing on this section was perfection itself. It was tight, precise and speedy. Strings were plucked with exactitude and reverb decay lingered but never merged with other elements later, which can happen on sloppy hi-fi systems. More than that, the piano lost its CD-infused bloom effects, giving it a nippy, jolly air. In that same frame, the bass was now giving bouncy lower frequencies. There was far more oscillation from this instrument. And so it went on, from CD to CD, the CAD proved superior to my top quality Densen. In every respect, the CAD trumped this superb piece of engineering. So what was next? 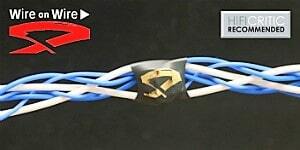 How about the USB cable? Up to this point, I had been using a basic cable, the black type given away from with most hard disks. 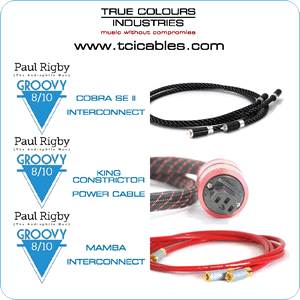 I drafted in an expensive ‘ Blue’ USB cable from Tellurium Q and the change was immediate. Playing the Carol Kidd track, the entire track, over all frequencies sounded, how can I put this…grown up? No? Richer then, more mature and full bodied. The basic cable actually produced horrible ‘glare’ in the upper mids that sometimes made them rather shouty. During the original testing, I put this effect down to the gain being too high. I thought it was basically just a bit loud. 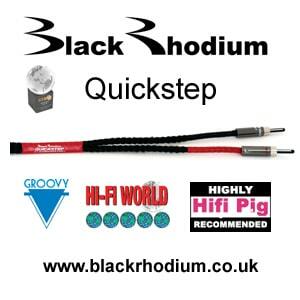 Not so, the audiophile USB cable calmed this effect and gave the vocal added time and space, producing a considered performance from Kidd while even more subtle aspects such as percussive rim shots now offered their own reverb pockets. Of course, the replacement USB also widened the sound quality gap between the CAD and my reference CD player. Moving to higher resolution files I played the 24bit/96kHz blues of Harry ‘Big Daddy’ Hypolite, an ageing blues shouter with an acoustic guitar. This one was interesting because, with other digital players, Hypolite’s voice tends to blitz and mask everything around it. Like shining a bright torch on an item, it’s difficult to discern the detail of anything lying in an around it. With the CAD, though, the voice benefited from extra focus and presise timing which gave it discipline and improved the timing of the vocal while his guitar playing was given air and space providing a pleasant presentation and one that added new subtleties to the track. Also, despite reaching to 176kHz (the CAD DAC doesn’t official support 192MHz but does play them…mostly), the 192kHz rendition of Ubi Caritas, a sort of contemporary jazz/classical piano improvisation piece by Ola Gjeilo, this CAD tracked the tonal complexity of the piano very well. The dynamic nature of the instrument was also contained beautifully. Frankly, I was shocked. Shocked at just how good the CAD 1543 DAC is. Scott Berry has slaved over the creation of this box and my goodness, it shows. The attention to detail is quite staggering. The quality and thought behind the design is breath-taking and the implementation basically deserves a round of applause. You may have seen other reviews which have praised this machine but I wonder if that praise has gone far enough. In my opinion, this one box is a game changer. The target of my praise, though, is the noise reduction. Noise (in its many forms and varieties) is the real enemy of sound quality. It’s often the case that hi-fi components provide top notch sound quality but most people never hear it from their system because noise gets in the way. 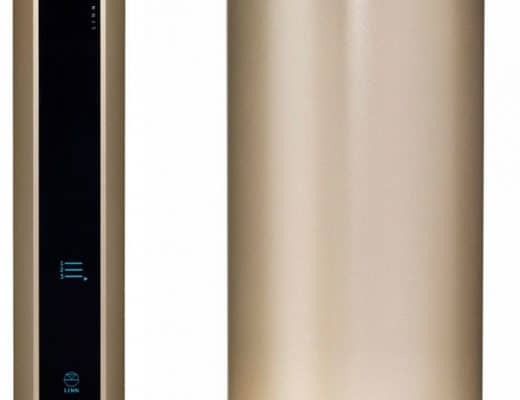 With the CAD 1543, Berry has designed a DAC with such finesse as to erase the bulk of any possible inherent noise, allowing the true quality of his hardware to shine forth. So, if you are wondering whether now is the time to get into digital then the CAD 1543 might just be the trigger that you need. I hope to be reviewing his CAT front-end and USB cable at a later date. Berry promises that the sound quality increases even further with these additions. 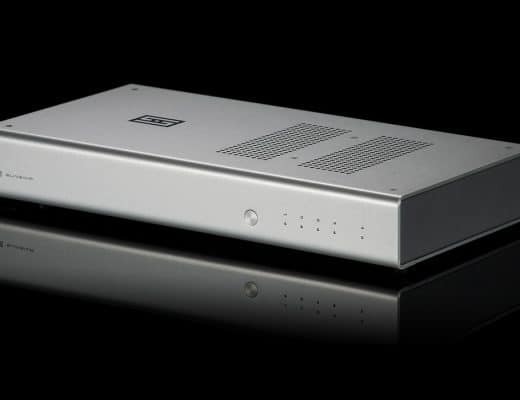 On a practical level, the DAC is built as a modular format so can be easily upgraded by the company. It thus has a sense of future proofing about it. On a sonic level, the CAD out-performed my reference CD player by some margin: and that was whilst the CAD ran off a poor quality USB cable and internally mounted laptop hard disk! I’ve never found a CD player that truly excited me, they have always been a disappointment. 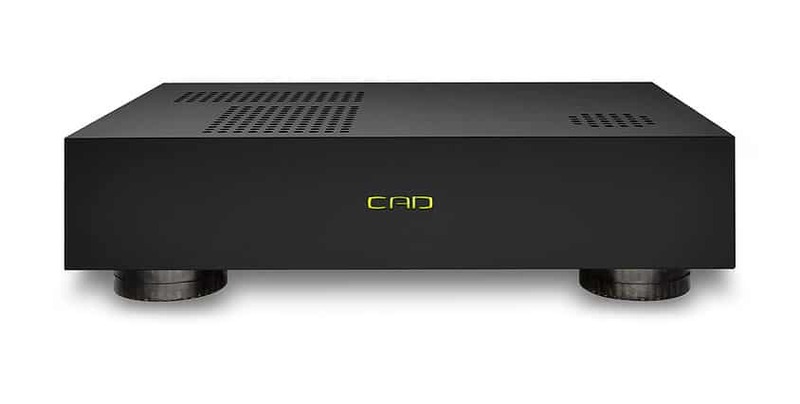 The CAD DAC is the first digital source I have ever heard which has triggered serious thoughts of reaching for my wallet. 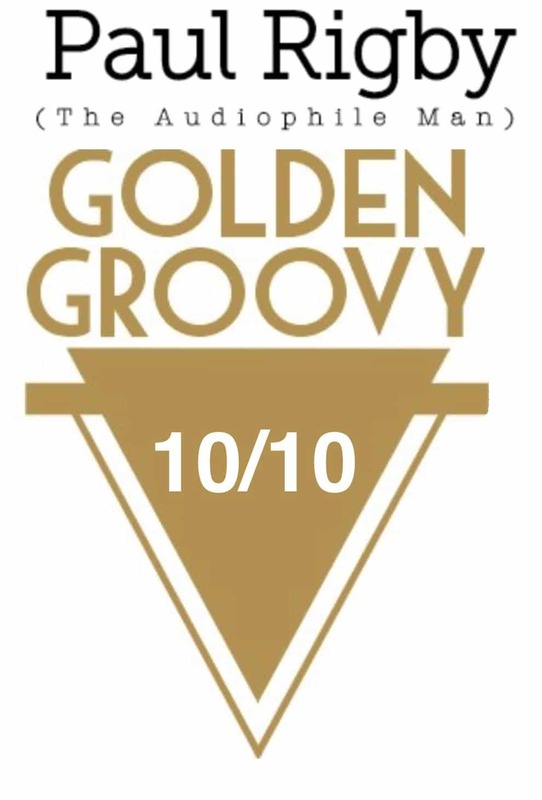 In terms of digital sound it is a true game changer and, thus, I have no other option than to give it the best award on the shelf a [gulp] Golden Groovy. Only the second gold award that I have ever awarded. Yes, it’s that good. 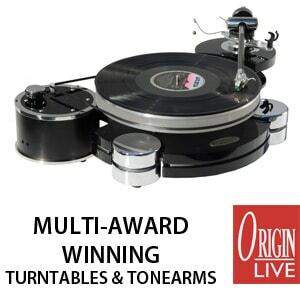 Despite the derision from those audiophiles who dislike the CD format there are still many who love it, there have been a range of traditional CD player designs from enthusiastic manufacturers that have attempted to revitalise and support the ageing disc format while music studio ADC-based improvements have enhanced the core CD sound over the past few years. After the interview and the review was over, I thought of a few extra issues that Berry was kind enough to address. Q: Why does the CAD 1543 DAC feature only a USB port and no other connections such as balanced outputs? A: “The name of the company is ‘Computer Audio Design’ because we believe that the future of music is going to be computer based. The sales of CDs are dropping and streaming and digital downloads are on the rise. We also believe the sound quality that is possible through a properly designed computer playback system has the potential to be the best sound that we have ever had. 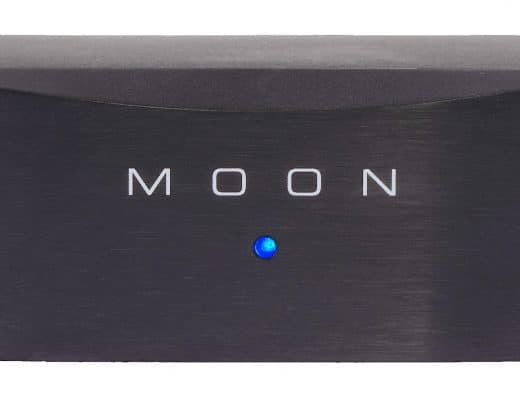 “When I started designing DACs there was no such thing as an ‘audio USB interface’, so I have had a lot of experience with S/PDIF. I started using some of the very first USB interfaces that came on the market. Even at that early stage, I formed the opinion that a USB interface offers a much greater level of sound quality over S/PDIF. The other critical issue is that USB is the focus of current development whereas I know of no company investing in S/PDIF transceiver technology, S/PDIF is on its way out. “However, to do a USB interface properly is a complex task. Having a single USB input allowed me to concentrate on making the USB interface the best it could possibly be. I use three independent power supplies with independent transformers just for the USB interface. I put all my energy into making the best USB interface possible. 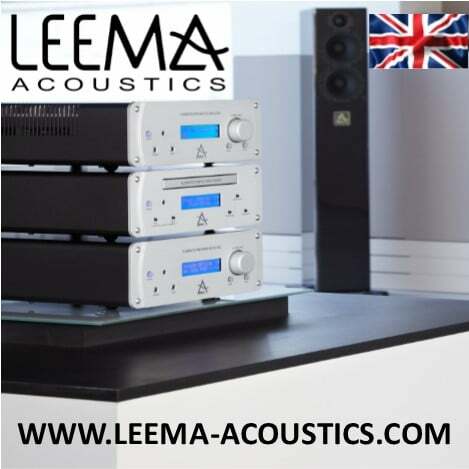 “I did not offer balanced output because I did not believe that with the 1543 DAC design there was any improvement in sound quality by going that route. The TDA1543 DACs can be made to have a balanced output, but the additional hardware needed to do that I felt actually reduced sound quality. 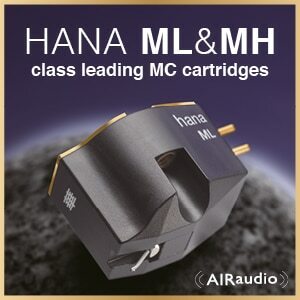 Q: Why doesn’t the CAD 1543 DAC support 192kHz? Q: What’s the best CD ripper for the Mac? 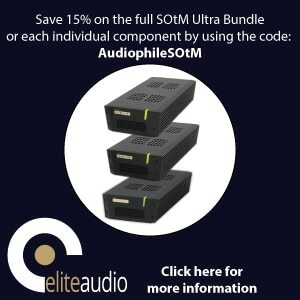 A: “One of the reasons I got into Computer Audio is my belief that a ripped CD played through a reasonable system will provide a superior sound quality compared to a considerably higher priced CD playback system. Q: Why does an external mechanical hard drive sound better than an internal SSD? Where does he get the 1543 chips from? Aren’t they discontinued long time ago? 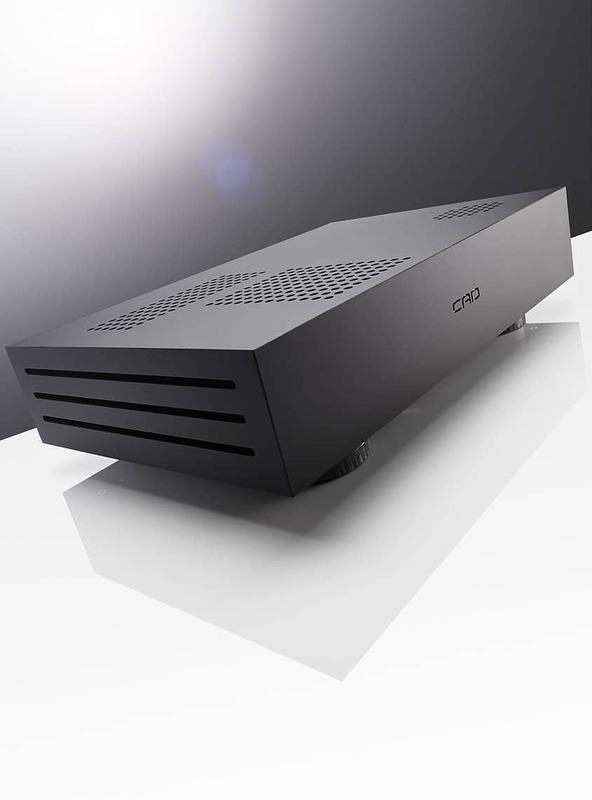 Hi Czupet – been talking to Schiit lately so hope to grab something from them soon. Not sure what though! If you pick Yggdrasil, pls request Gungnir MB along, for direct comparison. Thanks! It’s amazing story with tda1543 – it’s a 30 yrs old chip! I still have an ancient cd player from Philips based on 1543. It was made in 1988! Hi Paul: An impressive, passionate review. I absolutely love hearing these very hard-earned stories -namely Mr. Berry’s initial investigation, realization and finally tackling (conquering) new ground while defining new insights. The finest minds (products/ equations/ theories) ultimately start this way. For if we were to take “known” (more like suspected ) facts as something carved in stone -we’d never move beyond some very basic technologies, and understandings. Congratulations to Mr. Berry and the CAD design team. 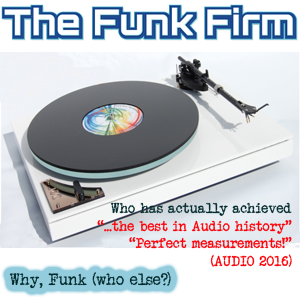 Indeed, many a very passionate audiophile (and reviewer’s) have similarly praised its accomplishments. Personally, a single USB input hinders functionality -and sales- considerably. As may the hard-wired AC power cord. I can easily see why Scott (Berry) has decided upon this; the seemingly inconsequential choice of detachable AC power cord has likely demonstrated a dramatic differences in sound quality-for the worse (when chosen indiscriminately) .And so, a dedicated, hared-wired design selected (after considerable listening sessions no doubt ). I’m certain many potential users (i.e. buyer’s) would much rather benefit from a “upgradeable” Input Module -and IEC Power Cord.as well. As its stands, Mr. Berry’s (by so many accounts) exceptional DAC will find very limited acceptance for no other reason than its frighteningly limited Input(s). That’s a shame. Here’s hoping Mr. Berry will see the light (and opportunity) to tackle the reasons likely responsible for the decision NOT to incorporate these crucial features. 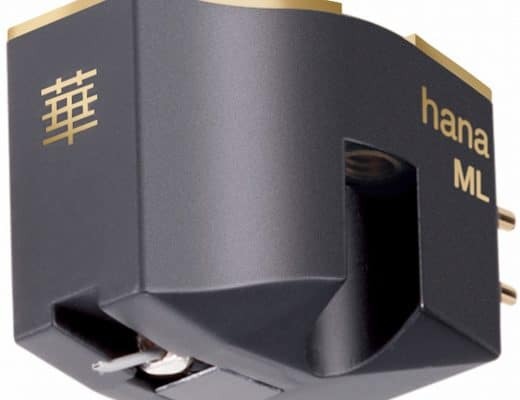 Once the “Naim” mentality is dispensed with (that company’s early use of XLR connectors -and proprietary (goofy), odd connectors), the passionate audiophile will likely be very grateful for Mr. Berry’s much needed (future?) modular ‘options’. If eventually a reality, I can only foresee this from continuing investigations into ultimate performance that includes 95% of the existing market’s needs, SPDIF compatibility, for example -greater market share will result. .Additionally, having the CAD’s hard-wired AC power cord -a few feet (if not inches) too short than required is another missed opportunity (faux pas) that (rightfully) frustrates the audiophile connoisseur. And for no good reason. Other ‘options’ must be made available. Should the company overcome its ‘Apple-esque’ like quirks, a serious threat to the current premium DAC market shall take root. And I for one, couldn’t be happier that the ‘underdog’ (the immensely talented ‘worker bee’) shall take his rightful place at the top of the pyramid. 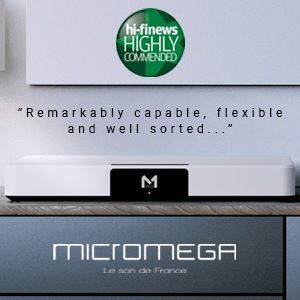 . .
A fine, insightful review Mr. Rigby -of a splendid hi-fi component. It was a pleasure to read. Thanks for your kinds words Peter and your thoughtful comments.